His apparent crime: going for a walk. And being brown. In Alabama, police officers are accused of using excessive force on an elderly man, leaving him temporarily paralyzed and hospitalized with a fused vertebrae. His apparent crime: going for a walk. And being brown. 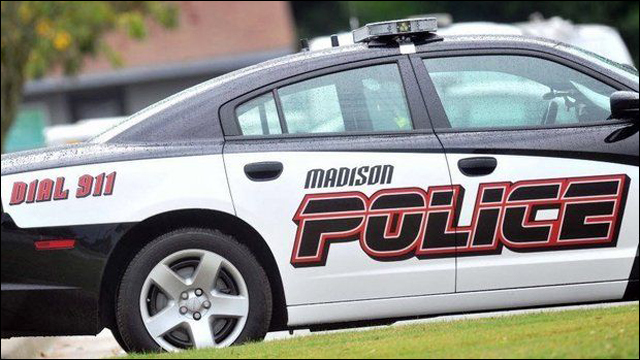 On Friday, Madison Police responded to a call regarding a "suspicious person" in the neighborhood. That person turned out to be 57-year-old Sureshbhai Patel, who was visiting from India and staying with his son's family. Patel, who does not speak English, was on an afternoon walk when he was stopped by police. According to the police statement, there was a "communication barrier." I don't know how you go from saying "No English" to getting your face slammed into the sidewalk, but you could say things escalated. Sherrod says the Sureshbhai Patel told the police officers "no English" and repeated his son's house number. The police statement says the officer attempted to frisk the man. "The subject began putting his hands in his pockets," reads the police statement. "Officers attempted to pat the subject down and he attempted to pull away. The subject was forced to the ground, which resulted in injury." Sherrod said he spoke with Sureshbhai Patel at Huntsville Hospital this morning. He said there were two officers present and that Patel was patted down and did not pull away. Sherrod said one officer then pulled Patel's arm up behind him and slung him face first into the ground. He said Patel could not say what happened after that. 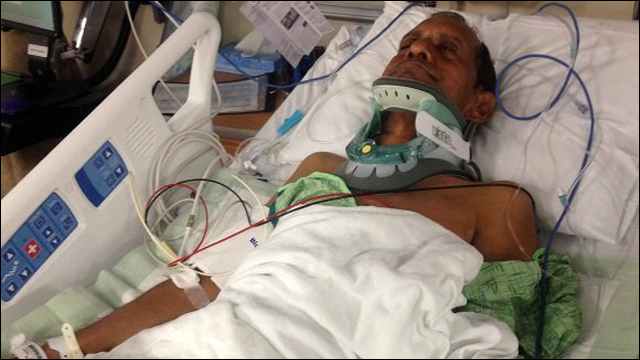 The incident left Patel lying bleeding from his face, paralyzed and in need of paramedics. The Madison Police Department has suspended the unidentified officer and is investigating the use of force in the case. Meanwhile, Mr. Patel had to undergo surgery to fuse two vertebrae, and remains hospitalized. He can reportedly move his right leg a little bit, but the left remains paralyzed, and he only has limited motion in both his arms. And yeah, you can definitely expect the family to file a lawsuit.